While there’s no Barnes & Noble and definitely no Zandbroz, the bustling city of Monterrey does have a wide range of bookstores for book lovers to peruse. A quiet, quaint little bookstore in el Barrio Antiguo, Libros Café y Detalles is a small but eclectic place for readers to find a new read and get a coffee. Libros Café y Detalles has piles and piles of used books covering the entire bookstore. Some of the books that can be found on their shelves include classics like “Don Quixote”, contemporary works like “Twilight” and even self-help or poetry books. Libros Café y Detalles is the perfect place for those who want to explore the older section of Monterrey and maybe step in for a quick treat and a book. 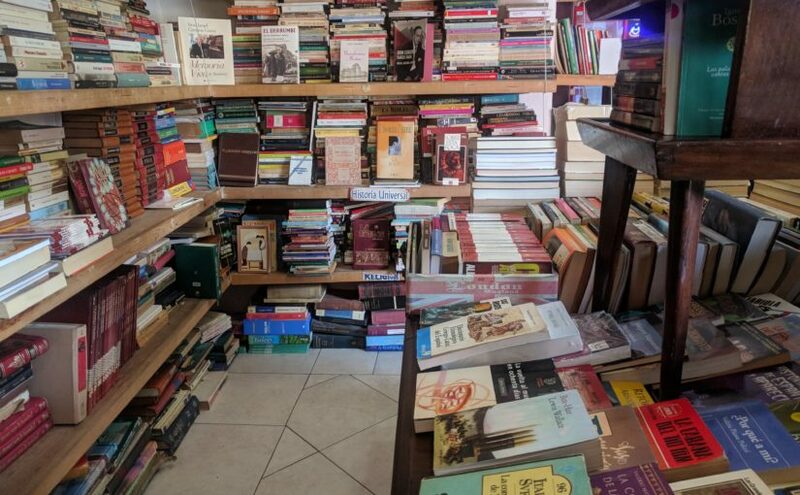 For the past 55 years, this extensive bookstore chain has provided bibliophiles all around Mexico and Monterrey with a wide selection of books, from the latest releases to classics. Even if Spanish isn’t your strongest language, some stores have sections for their English-speaking patrons. Librería Gandhi is a quiet, cozy bookstore in downtown Monterrey that carries books for all ages and genres. This bookstore also hosts a café, so patrons can settle into a comfortable seat and sip a tasty coffee while reading a new book. This bookstore is also just a short distance away from the Paseo de Santa Lucía that cuts through Monterrey, where you can take a calming walk along the water. Another bookstore to check out in Monterrey is La Ventana. Much like Editorial Iztaccihuatl or Libería Ganhdi, La Ventana has books for every kind of book lover. They also offer a wide selection of books in English and even deliver straight to your house.